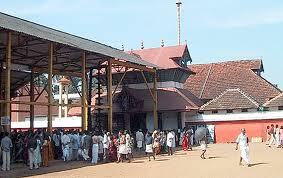 The Guruvayur Temple is one of the most famous Lord Krishna Temples in India. The 10 days annual festival will be started on February 17th, 2019. The famous Guruvayur Anayottam, which is the biginning of Guruvayur festival will be held on February 17, 2019.The winning elephant will have the honour to carry the Thidambu (the idol of Guruvayoorappan) on all special occasions for one year.The 9th day of the festival is the Pallivetta day,which will be held on February 25th,2019. Pallivetta represents the symbolic destruction of Kama and Krodha from the minds of the people. 26th February 2019 is the Arattu day which is the concluding day of festival. On Arattu day the temple will open at 6 a.m. After all usual poojas, Arattu procession will begin at 6.30 a.m. The Lord Guruvayoorappan’s idol will be taken to the Rudra Theertham for Arattu. After ‘Arattu’, the the elepahant runs eleven times around the temple with the idol. 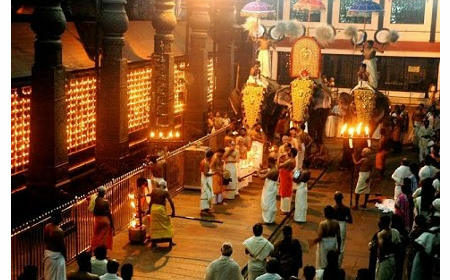 Guruvayur Temple Opens at 3.00 AM and will be closed between 1.30PM and 4.30PM and Reopens at 4.30 PM. 9.15pm – Sreekovil will be closed.